How To Disable Google Chrome Multiple Processes On Windows? I am a Google Chrome user and usually open multiple tabs at the same time. But whenever that happens Chrome ends up getting too slow. Until recently I discovered that unlike most current web browsers, Google Chrome creates an entirely separate system process for every single tab or extra extension you are using. 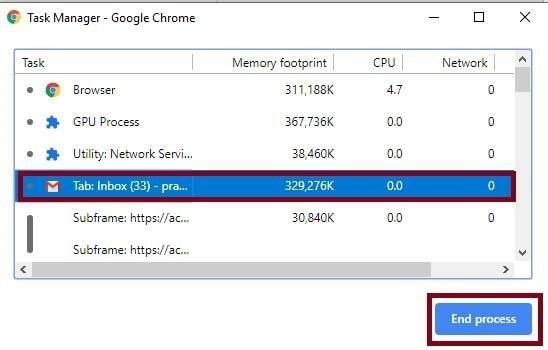 You may have noticed; Google Chrome browser creates a bunch of processes when it is running on your computer. You can see those processes in Windows Task Manager. In this article, I will explain why Google Chrome has a multi-process architecture and how we can disable Google Chrome multiple processes. Why Google Chrome Browser Creates Multiple Processes? Google Chrome is designed to run individually for every individual tab, plugin, and extension within Google Chrome multiple processes. This design is based on the concept of preventing complete browser failure if something goes wrong. For example, if you open a website on your Chrome browser, then this website will remain active and will be accessible in its own tab, even if you open multiple other websites and one of them turns out to be slow or crashes. By separating each tab and extension into a separate process, Chrome browser can remain active even if any tab needs to be closed. In case multiple Chrome processes consumes excessive percentage of RAM or Chrome browser hangs up, you need to disable Chrome processes. This happens when you open multiple tabs while browsing and using too many Chrome Extensions and Plugins on your computer. If Google Chrome become slow, you can disable Google Chrome multiple processes on your computer by using the following methods. 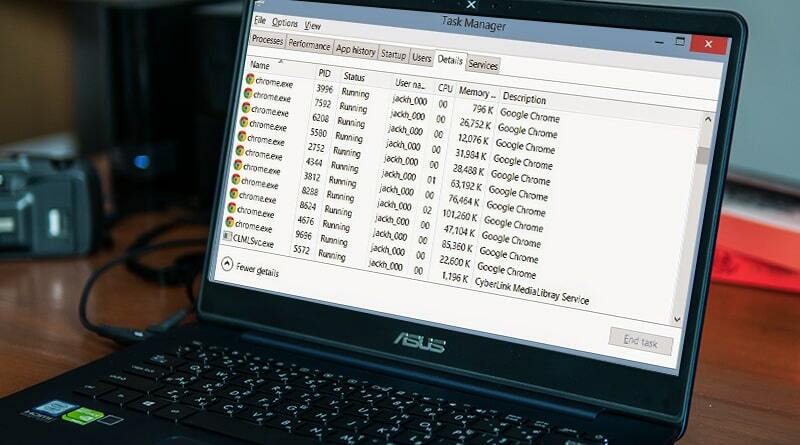 Google Chrome browser has its own built-in Task manager which allows you to view each Chrome process running on your computer. You can use the Google Chrome Task manager to view and close any Chrome process on your computer. Step 1: Click on the 3-dot Chrome browser settings icon located in the upper-right corner of the Chrome screen. 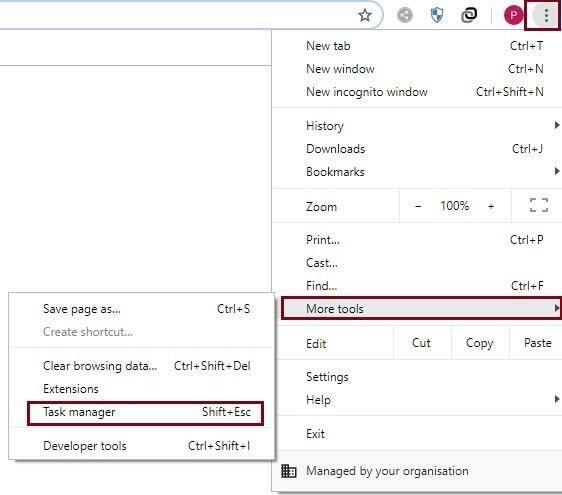 Step 2: From the drop-down menu click on More tools and then click on Task manager option in the side menu that appears. Step 3: This will open the Google Chrome Task Manager, click on any Chrome process that you want to shut down and then click on the End process button. This will kill the selected Chrome process, preventing it from using resources on your computer. Even if you close Chrome browser, Google continues to run processes in the background. This happens when you install Chrome Plugins and Chrome Extension with a default tendency to continue running in the background. However, you can prevent Google Chrome background apps by following the steps below. 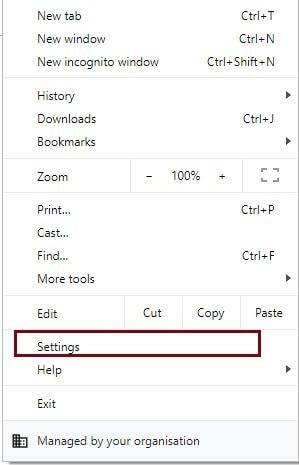 Step 1: Click on the 3-dot Chrome browser settings icon located at the top right corner of your screen and then click on Settings in the drop-down menu. Step 2: On the Settings screen, scroll down and click on ’Advanced’ option to expand the Settings screen. So, guys if you too feel that Chrome is eating a lot of RAM of your PC, then just follow the above methods, and disable the unnecessary running processes. The afore-mentioned methods let you prevent Google Chrome multiple processes running in the background.